Whether a child can't stay awake until midnight or you may want to put him or her to bed early so mom and dad can enjoy New Year Eve by themselves, that doesn't mean a kid has to miss out on a fun end of the year countdown. Join the cast of Fuller House or the characters from 9 other Netflix show as they do a New Years Eve countdown that the streaming service's subscribers can view at whatever time they choose. 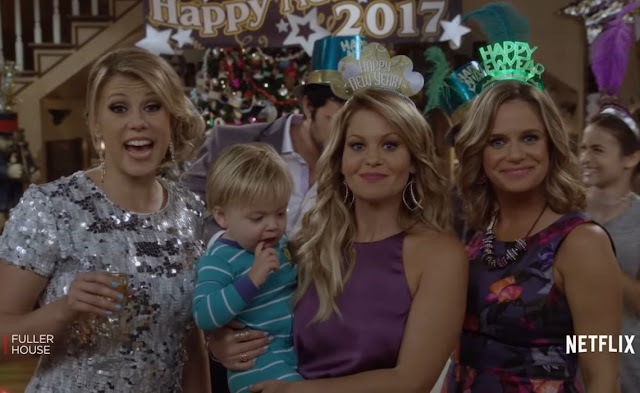 Just before you are ready to put a child to bed on New Years Eve just stream one of these fun videos for a kid-friendly celebration with your little one. To find this year's selections, just search "Countdowns" on Netflix. The ten themes for this year's videos are Skylanders Academy, Madagascar's All Hail King Julian, Trollhunters, Project Mc2, Puffin Rock, Beat Bugs, Luna Petunia, Chasing Cameron, Fuller House, and Word Party. Each video ranges from one to five minutes. This Netflix option is a nice way to ensure everyone no matter what their age can join in the festivities of welcoming a new year.